The attached map is a project based on Notes for a People's Atlas, a community mapping project that started in Chicago in 2005 and has since expanded to include a number of cities around the world. As we've seen, maps can be narrative as well as informational tools. 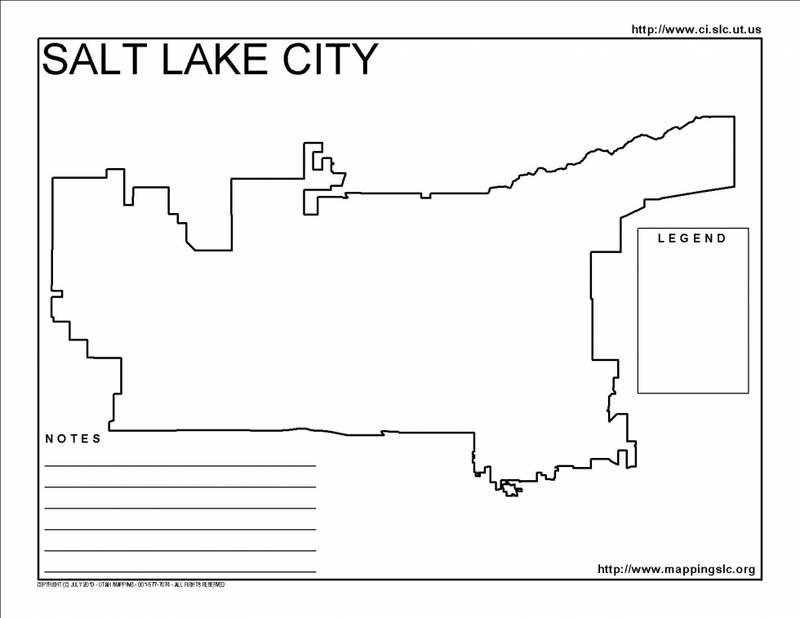 This map of the outline of Salt Lake City is for artists, kids, parents and educators to use as a canvas on which to draw their own maps of Salt Lake and, by doing so, tell their own stories about themselves and the city. We'd love to have copies of these maps sent back to us. We'll share as many of the maps as we receive. 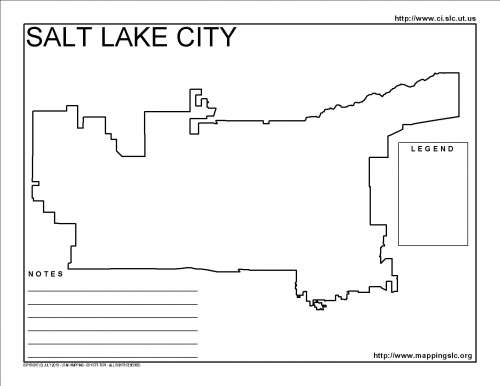 To return your maps, or to have a member of Mapping Salt Lake City come lead a map workshop with a particular educational group or class, please contact us.